IT was a long wait since last September for our first championship game, so it was nice to get over the line against Cavan on Sunday. Any day you win an Ulster Championship game goes down as a good one in my book. There were a lot of positives to take from it, but at the same time, it was far from a complete performance and we have plenty to work on over the next fortnight. Cavan won promotion to Division 2 and came to Ballybofey with momentum, but they didn’t have their best game. But we had no control over what they were going to do. We had to focus on ourselves, and we moved the ball quite well, and kicked a lot of good scores. Our younger lads all gave a decent account of themselves, and the main thing is that everyone seems to have come through it unscathed. Derry will definitely be a tougher game in two weeks’ time, and the work for that match started immediately. We’ll not be going on their league form, as they will have six or seven Slaughtneil boys back in the mix, and we’re talking about serious quality with the likes of Brendan Rogers, Shane McGuigan, and Chrissy and Karl McKaigue. The fact that the game is in Celtic Park will also pose a challenge, and we have to be ready for the battle. When the lads went for a recovery swim on Sunday evening, the management team held our first meeting ahead of the Ulster quarter-final. There’s no time to waste this year. Previously, you would have had four weeks in between the Preliminary Round and the quarters, but that’s down to two weeks now. It’s all going to be run off fairly quick, and that’s why you need a good squad. We were missing some key personnel last week, and we’re hoping that one or two of them might be available for the Derry match. If that’s the case, then myself and the backroom team will have selection headaches and that’s what we want. The one pity on Sunday was that the minor team failed to defeat Monaghan in the curtain-raiser. It’s a strange one because it was a huge improvement on their last two games, and by all accounts, they really gave it their all, and yet it was a match that they were in control of and lost. 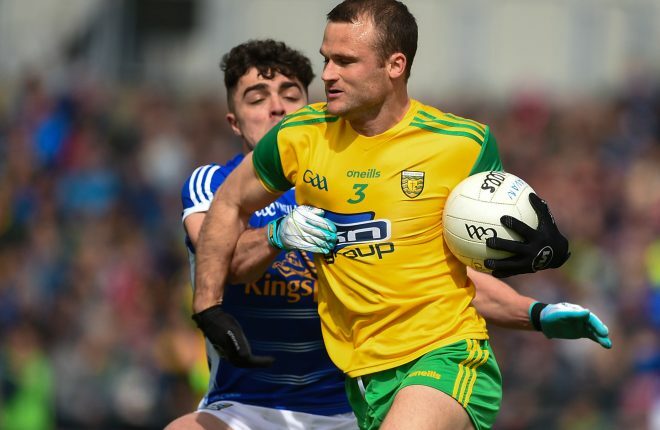 Gary Duffy went with a defensive system, and it seemed to suit Donegal well, and Monaghan were knocked out of their stride for long periods. 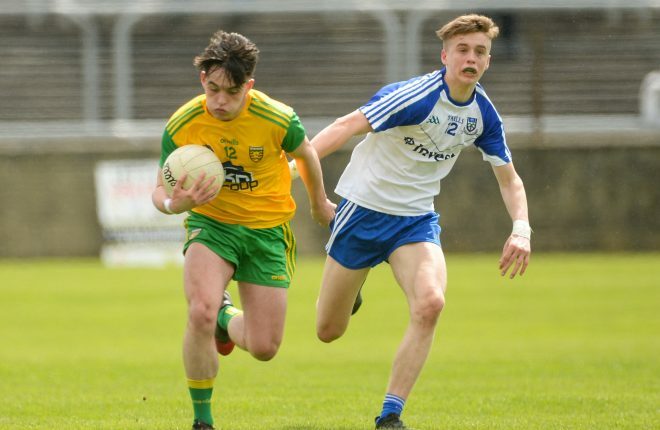 But Donegal went nearly a half-an-hour without scoring in the second half, and that’s ultimately what cost them, as well as their missed goal chances before the break. It’s disappointing to be exiting the championship so early, but I’m sure we will see a lot of those lads in the green and gold again in years to come.